Download Adobe Reader to view, print and collaborate on PDF files. 2.0" C.A. Four-mirror design. "In-line" design permits easy integration without compromising motion system travel. DC servo motor assembly rotates entire assembly 360º. 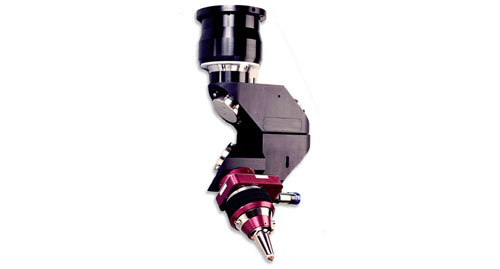 Lower rotary axis rotates entire process head ±90 degrees. Internal proximity switches indicate limits and home conditions. Water-cooled adjustable gimbal mounts with fine pitch adjustment screws allow for precise beam alignment. Can be used with any laser process head unit. Stay connected with Haas Laser Technologies for the latest news on laser beam delivery and optics. Read white papers and articles, watch laser videos and learn more about optic design.